Going to Disney? Have you spent enough time agonizing over which shoes? If you have not talked to at least 5 Disney Experts and thought about it for at least combined time 1 hour my prediction is you will have some unhappy feet. So, you think oh this is easy I will take my tennis shoes (sneakers for those of you not Southern) and be done with it. No, you can do the tennis shoes some but not all of the trip. They get too tight and socks get hot. Also, if you do not have the thick socks you will get blisters, etc. So, if you love your tennis shoes wear them a little but not a lot. I have done my research and some of these are my own personal preferences and some are just a consensus of others. No one can tell you what to wear but try these on before you hate your feet. 1. Crocs – Yes they are so ugly. But, they have stepped up lately and made some cuter styles and who cares? Your feet will love you. I did not buy into the whole Croc thing until I was at Disney and got a bad blister (yes from thin socks and tennis shoes) and had to do something. I bought a pair of Mickey crocs from the kiosk and now buy a new pair each year. They are amazing at Disney and walking around the house, yard and sometimes even the grocery store. For $34.99 these are the Classic Crocs that come in lots of fun colors. 2. Ecco – I love Ecco brand sandals. They are so comfortable and are like swaddling your feet. They are quite stylish and are Danish made and have been around since 1963. They know what they are doing and do it well. I swear by these. These Eccos retail for $79.99 and are worth every penny. 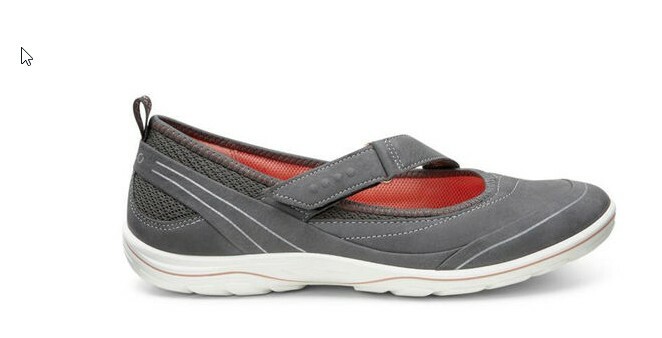 Check out us.shop.ecco.com for tons of styles! 3. 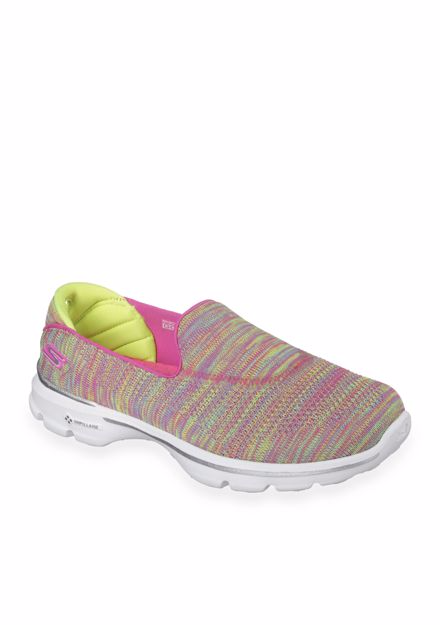 Go Walk (made by Skechers) – these come in tons of styles and colors and are super plushy. Lots of foam inside to make your feet not feel each and every step. They run between $40 and $50 and can be found at most department stores and many other places. These are really popular! These were found online at Belks for $44.99. 4. 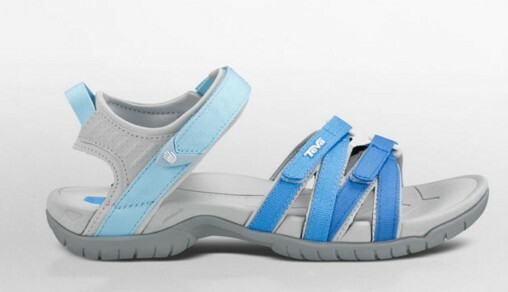 Tevas Tirras – Tevas are a great shoe and I remember wearing them way back in high school. They are still around and going strong. They are quite popular with the hipster scene and even have a festival shoe category. The Tirras are a favorite amongst Disney Experts and last forever. Tevas Tirras run about $80 but they can last forever and are your feet not worth it? I have heard it before and I will hear it again but so many people opt out of visiting Epcot because they think there is nothing to do there. I even wrote an article about Epcot for Preschoolers, and here is another aimed more at the elementary aged kids. Why the need for a new article? Well the parks are always changing and as my own daughter grows older we find other items of interest to her as well as some of the same. But I am still disappointed when parents say they aren’t taking their kids to Epcot, it is my second favorite of all the parks and it is still awesome. Like Magic Kingdom is has a timeless quality to it. So let’s look at what there is for kids to do at Epcot. Spaceship Earth-this is perfect for a history lesson or those just curious as to what is in “that golf ball thing”. My daughter at 7 says this is her favorite attraction in Epcot, she really enjoys the end part with the cartoon pictures of yourself. The Land Pavilion- Soarin’ is so much fun as long as they meet the height requirement, which most elementary aged children will. Living with the Land is another fantastic attraction and they may learn a thing or two along the way or see some unusual plants! Behind the Seeds tour is available for children to participate. You can go backstage in the Land Pavilion and it is pretty inexpensive! The Living Seas Pavilion- The Seas with Nemo and Friends is going to appeal to this age group. Turtle Talk with Crush will be another pleaser for kids, plus they can even be a part of the action by asking questions to Crush. And when you are finished you can explore the aquarium to get up close and personal with some fish! Imagination Pavilion- Journey into Imagination with Figment is adorable and fun, trust me when I say they will love the bright colors and catchy tune! Plus once you are finished with the attraction you can design your own figment, orchestrate music and play interactive games. Test Track- If your child meets the height requirement and enjoys thrills this is the place to be! Designing a car is fun for all ages and they will really get a kick out of it. Plus there is a fun interactive driving game when you are finished seeing whose car performed the best! Mission Space- Once again if your child likes thrills and meets the height requirement and isn’t prone to motion sickness this is a great attraction. I would stick to the Green side though to be safe. BUT, even if you don’t get on this attraction there is a neat play area with games and a climbing play are for kids. You can enter through the shop to check this out. Agent P’s World Showcase Adventure- Recently, Disney announced that you can now play this on your own smartphone if you choose. You can still get their phones to play, but you may find this easier. There are a few countries to choose from, you can do one or all. Mexico Pavilion- Not only for the neat atmosphere you will want to check out the Gran Fiesta Tour attraction. Norway Pavilion- Frozen Ever After plus an Anna and Elsa meet and greet will make this a big hit with children. Check out the Stave church while you are there for a bit of a lesson on Norwegian culture. China Pavilion- See the terracotta warrior statues, get a kakigori and visit with Mulan. Kidcot stations- sure they are probably getting to upper end of this, but I still think coloring is fun for all ages and you get a cute Duffy or Perry the Platypus to fan yourself off with. So yeah adults, you’ll want to grab one too. This list isn’t comprehensive since there is plenty to do in World Showcase that is not listed but just a few favorites. Let us know what your favorite thing to do with kids in Epcot. Top FIVE Things to have in your carryon for Disney World! While some Disney fans are close enough to drive to Disney, others like myself must take a plane. Air travel does add an extra layer of planning, as you have to decide what you can pack in a single suitcase instead of your entire trunk! Not only that but you also have to plan what things can go in that suitcase, which you may not see for several hours (but don’t have to lug to your resort, thanks to Magical Express!) and which things you need in your carry on bag. This week we’re going to talk about 5 things you should carry on the plane if you’re on your way to Walt Disney World. Your Magic Bands! You’ll use these to scan at the Magical Express check-in, and more importantly you’ll need them if they are linked to your tickets and you plan on heading straight to a park after you check in at your resort! A change of clothes. For many different reasons a change of clothes is a good idea to have in your carry on. Sometimes luggage is delayed, or what if the weather where you’re coming from is very different from that in Orlando? Bring that change of clothes! Optional: a bathing suit too, if you plan on hopping in the pool at your resort. Your good camera. The photo worthy memories start right away at Walt Disney World! If you’re going to the Magic Kingdom first thing, you’re definitely going to want to capture that first glimpse of the castle. A hard copy of your Disney reservations. Your mileage may vary on this one, but I’m old school. The My Disney Experience app and Magic Bands are a fantastic addition to the Disney World resort experience, but I prefer to have a hard copy print out of my confirmation numbers…. just in case! Some form of entertainment for you and the children. So this is probably a no brainer, but you’re going to need to remain entertained during your flight. Not only that, but keep in mind you’ll also be waiting in line at the airport for Magical Express (hopefully not long!) and then the bus ride to your resort can take a while. More waiting at the resort to check-in (again, hopefully not long!). That’s a lot of waiting for kids and adults! Make sure you have some things in your back pocket to keep everyone busy while they wait for arrival at the most magical place on Earth! That’s our list… now what’s on yours! Anyone who has ever planned a Disney vacation has probably wondered “How should I allot my park days?” We’re here to help! In this week’s episode we give you different vacation length scenarios and tell you how we would divide up our park time to maximize our vacation fun! So, yes, growing up my dad did dress me up as Princess Leia for Halloween one year when I was too young to be able to express my voice (or they said Princess and I said yes?) Though I had blond hair, I still was able to do side buns and wear the long white dress and get treats and my brother was dressed as Luke Skywalker. How did our parents even tell us apart that year; as I am sure, every other kid in the neighborhood looked the same? I remember the hair though and it being done and being a huge pain as all tender-headed girls can agree – it just is never as fun as it looks to have an elaborate hairdo. When I dressed as Princess Leia I am sure I was happy with it; but, I had no idea what I represented. I never saw the movies because, honestly, I was 3 in 1977 when the first Star Wars came out (which is now Episode IV: A New Hope) and that was just not on my agenda. With that said and for full disclosure of the claim of being a non-Star Wars fan, I do not remember seeing any Star Wars movies ever. My husband (a HUGE Star Wars fan) swears I saw one of the more recently released episodes with him. What I think really happened is he was with a bunch of friends and so enthralled with the movies he did not notice that I was not there and instead at home enjoying my quiet time. Moving on to how much of a good wife I am (one of my favorite topics) because I did plan a trip to Disney, for a Star Wars weekend, a few years back. I had very low expectations for this trip and my enjoyment of the Star Wars “stuff” going on at Hollywood Studios. I ended up really loving the “stuff” and if you want to see a few highlights you can read my review or just google Hyperspace Hoopla (seeing Darth Vader do the Whip and Nae Nae is life changing). If you want to learn more about that trip you can read my review by clicking HERE. One of my favorite pictures of my husband! Is there a point to this article? Yes, and that is a non-Star Wars fan (me) watching Episode 7 last week and sharing her experiences with you. 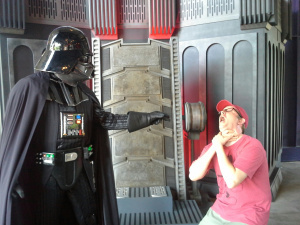 Scenario: Under a bit of force, my friend (another Star Wars nut) twisted my arm to watch it. He had bought the download and while I was visiting him and his family we sat down to watch it. 2. I thought the acting was great, for the most part, and immediately fell in love with BB-8. 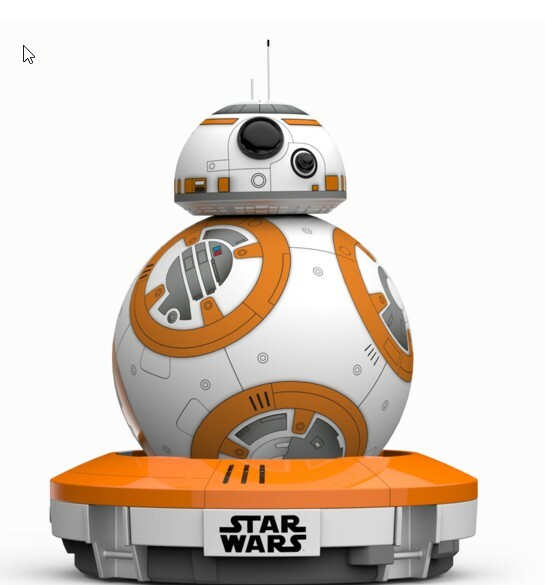 I definitely want a full-size one in my future and it did make me love and appreciate our BB-8 app enabled droid (or pet) we have in our home. If you have not heard of these check them out because they are awesome and the newest update has where if you watch the movie with your BB-8 he interacts with you about the movie. Prior to watching the movie I called it the most expensive cat toy on the market because that is what I used it for to play with the cats. My BB-8 that is now more than a cat toy. 3. I am intrigued by Rey, the theories on who her parents are, and enjoyed the character. I even read a few articles about who her parents might be and was found discussing it with some Star Wars peeps. This means I am invested and now am looking forward to the next Star Wars movie (Episode 8) which has a release date of December 15, 2017. Not to plan ahead, but this is two days before my birthday – did I love it enough to make this part of my birthday week? Hmm maybe! But shhhh! I do not want to tell my husband, yet, as I am not sure. I would then be locked in and he would talk of nothing else but that. It would make him so proud though. So, rest easy (because I can tell you are rooting for me to tell him soon) and know that closer to the time (I mean we have more than a year) I will tell him so he can tell all his buddies how awesome his wife is and make me the cool, nerdy Star Wars wife. Currently, I am just the cool, nerdy Disney wife so it might be nice for a change (upgrade?). 4. The jokes were funny. 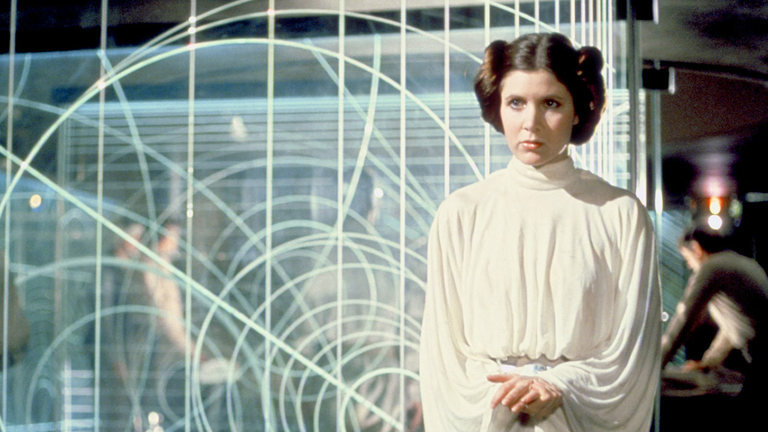 Even though I had not seen any other Star Wars (or do not remember them) I still was able to know enough about it to laugh and enjoy the Princess Leia and Hans Solo relationship. I also cheered when Chewie and R2D2 and the gold one came on screen. I loved the personality they gave Chewie (maybe he always was like that?) Also, after this movie came out I read and saw some commentary on Carrie Fisher that was not positive (I am not even giving it credence by giving details). My response to that is “ARE YOU KIDDING ME?” She looks awesome and is almost 60. People need to back that train up because she is still a hot Princess and NOW is a General and kicking some Dark Side parts. Please don’t make me go all Kylo Ren on you. 5. I am NOT a fan of killing off Hans Solo and I know things need to move to the future people; but, just as I was getting to know him as a character better he is gone. I guess I can watch Episodes 1-6 and get to know him better. Sigh. He is a cute one though still right? So, yes there is a ton more to say but these points are enough to make a non fan question (I hope?) and take two hours to watch and see. I know that, after watching Episode 7, I am definitely invested in watching 1-6. Now just to figure out what order to watch them in (the order of release with 4-6 being first and then 1-3 or in straight order 1-6?) All Star Wars fans seem to say the release order? What do you think? We’re continuing our In Depth series of all the Walt Disney World resorts! Por favor mantaganse alejado de las puertas, our next stop is Disney’s Contemporary Resort. We talk about all aspects of the resort from dining, room types, activities and amenities, and cost. If you like this series we’ve also covered Animal Kingdom Lodge, Pop Century, and Coronado Springs. Check those out!